My final site visit was to Corbis Images where I met with Ann Pool, Silvia Koros, Michael Conyers, and Laura Horan of the Search and Vocabulary team. This image company employs a talented staff of information professionals and metadata specialists. One of their processes is the crowdsourcing of terms and the use of Amazon’s Mechanical Turk. Scope notes of terms and carefully crafted project instructions are amongst the group’s tasks. Approximately 45,000 images per week are processed using crowdsourcing . The Corbis taxonomy has nearly 600,000 terms, with candidates regularly considered for both adoption and deletion. A major challenge faced by staff is the varying definitions attached to terms and mapping correct terms to correct concepts and images. This is a challenge faced across disciplines. Can we help each other? SLA’s Taxonomy Division no doubt has ideas! The PNW Chapter has an awesome group of volunteers serving on the Board, and we met at a local architecture firm. President Jennifer Robbins and President-elect Laura Grove ran the meeting and discussed programming. Members plan a blend of in-person and virtual meetings. Their Library-crawl model, which includes a site tour followed by a social gathering, is a favorite format. 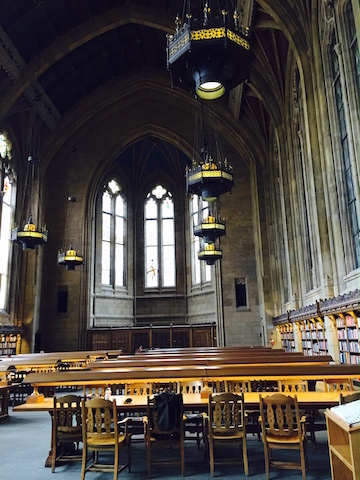 The iSchool at the University of Washington has an active student chapter, and there is great synchronicity between the student and the SLA chapters. PNW Chapter challenges include transportation for in-person meetings as well as technology to keep members informed. The Association list software, Lyris, has not provided the level of reliability that is critical for communication. Leadership and Headquarters staff are communicating, here. Webinars provide an important PNW member benefit. A recent offering on e-portfolios received high praise. Much work, marketing and coordination is required to make webinars successful. Is this an opportunity for cross-unit collaboration? New initiatives include a mentoring program that is just getting underway. Members volunteered to mentor, and mentees are now being recruited and matched. Mentoring is one of the most valuable services we can provide. Woot! Finally, a regional conference for 2016 is being considered. This partnership event promises a day full of high impact content. The board meeting was followed by dinner at an Irish pub, where our networking skills were honed over food and drinks! 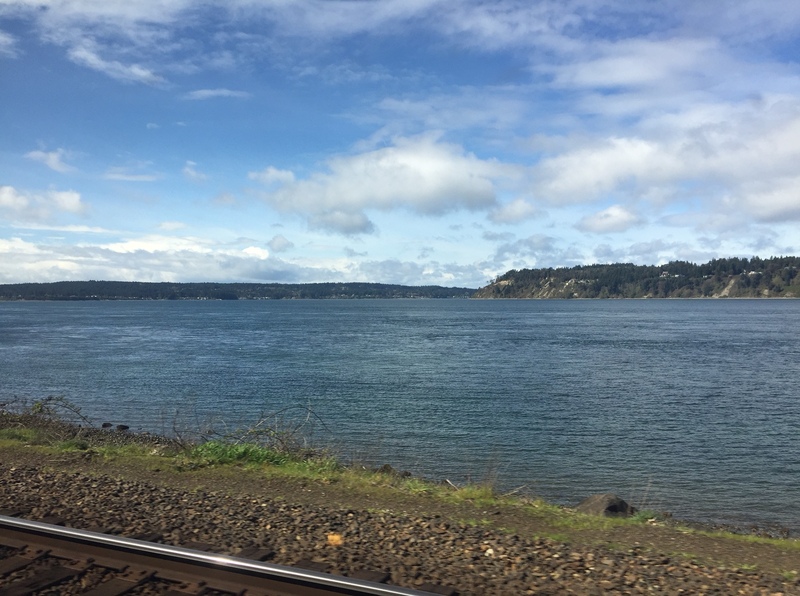 Following a beautiful train ride from Seattle to Portland, I dove into ACRL. 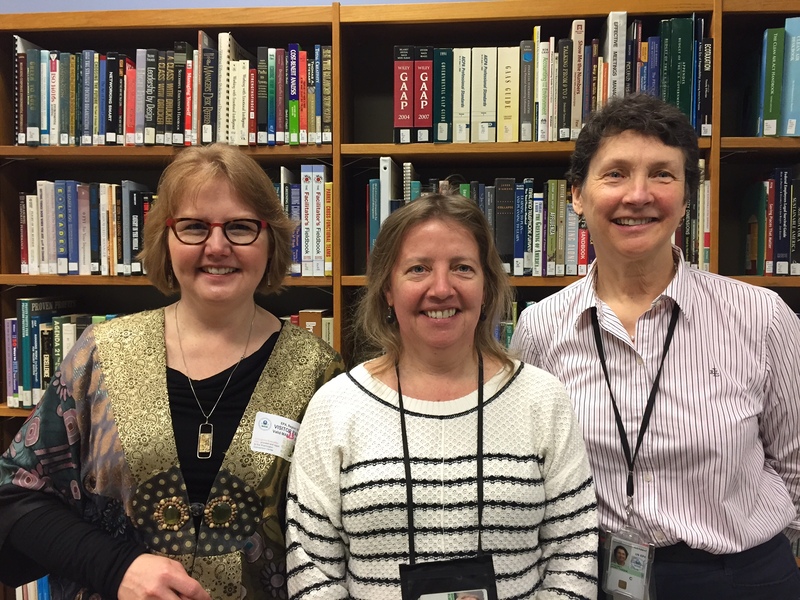 This conference, tailored for academic and research libraries, had many SLA members in attendance. The Oregon Chapter hosted an evening of networking and wine at a wine library! Having lived in Oregon, I was happy to be back at home with old and new friends and colleagues. Kati Arzeta, Chapter President, and Lisa Springfield-Prescott, Chapter President-Elect, were wonderful hosts, introducing local members and welcoming those visiting from other chapters. Past SLA Presidents Bill Fisher and Cindy Romaine were in attendance along with several current committee, division and chapter leaders and current students. While in Seattle I was not able to meet with UW iSchool students because of spring break. Happily I found a meeting place in Portland and met with six students for lunch at a local cafe. I asked about social media communication channels, and Facebook is a preferred channel. We discussed bringing undergraduate subject backgrounds into information studies. How can someone leverage linguistics, for example? For new areas of knowledge, a 101 webinar series on subject topics such as engineering, business, sci-tech and digital humanities would be useful. Here is yet another opportunity for divisions to work together. Mentoring is important, and the students were happy that the PNW Chapter launched a program. An online mentoring environment for SLA members could match people across areas of expertise and industry experience — a bit of an SLA LinkedIn. Let’s try this! I asked the students why they joined or would join SLA. They want to be part of a community and a group that is passionate about their profession. They want to share experiences and continue to learn and grow. Both passive communication such as shared readings and active communication through engagement are desired. This group also wants to make a difference and help move the organization forward. SLA has a bright future with these emerging leaders. I want to thank the many Pacific Northwest and Oregon Chapter members for their collective hospitality. Through our conversations we imagined our future and began to brainstorm solutions that we can collectively create.